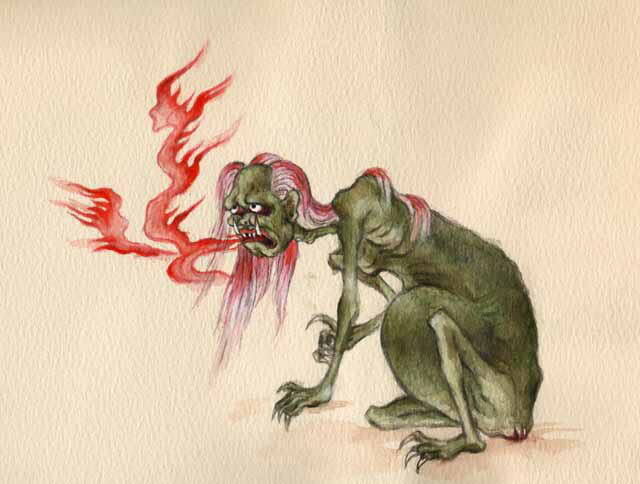 Virtually every sect of Buddhism believes in the Hungry Ghost. These ethereal figures are the spirits of people who in life were greedy, envious, jealous or selfish. As a punishment for their mortal vices they have been cursed with an insatiable desire for food. Unfortunately, they have humongous stomachs, tiny necks and a mouth said to be the size of a needle’s eye. Thus they can either eat nothing or so little they remain perpetually hungry. These poor souls are also associated with addiction, compulsion and obsession. Japanese Buddhists believe Hungary Ghosts haunt burial places during the night to eat newly deceased corpses, steal the food offerings left for the dearly departed and loot them of any valuables that were interred with them. Although the Hungry Ghost Festival was traditionally a Chinese festival, today it is celebrated all over Asia. 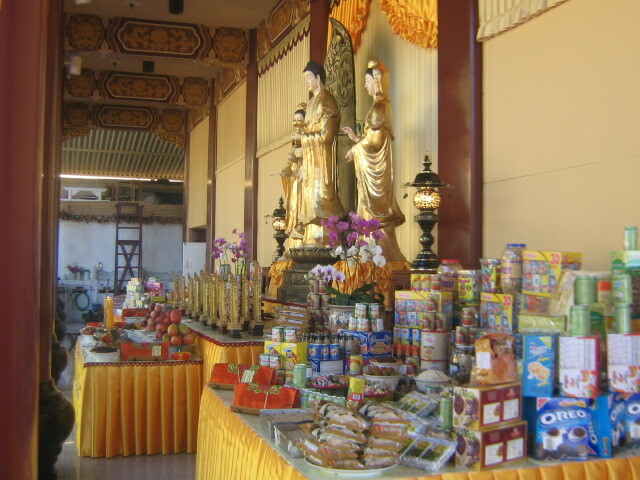 During the month of celebration relatives prepare and offer food for the ghosts, burn incense and joss sticks, burn paper reproductions of Rolex watches, Hell Bank Notes, clothing, Rolls Royces, etc. for use in the afterlife as well as launch small paper boats to give directions to the wondering spirits.